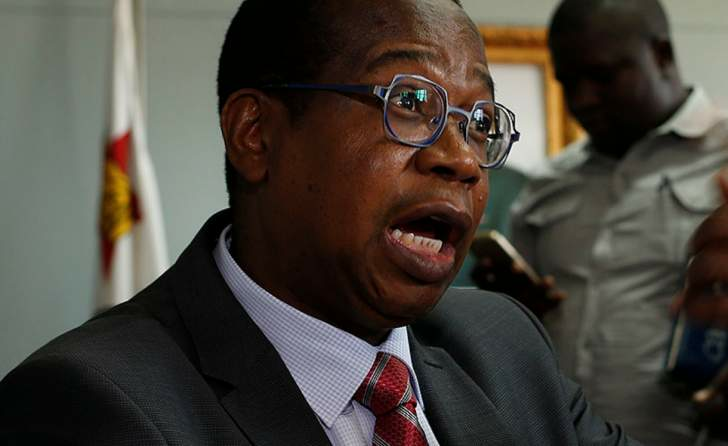 Under-pressure Finance minister Mthuli Ncube faces a tough task in balancing policy measures that stabilise the economy and populist demands from the ruling party when he pre­sents his much-awaited National Budget later this month. Since his appointment in September, Ncube, a respected figure by international finance institutions has been on a collision course with Zanu-PF stalwarts over the belt-tightening measures he recently introduced. Zimbabwe's economy is currently facing a huge debt overhang, foreign currency and cash shortages, emerg­ing high inflation and unsustainable government expenditure. The cost of living has also headed northwards following the depreciation of the country's fiat currency against the United States dollar. Ncube yesterday opened a flood­gates of demands when he took to microblogging site Twitter curating for public submissions of the 2019 National Budget which is expected to be presented on November 22. He has already met business leaders who appear divided on the currency issue - some lobbying for the reintroduction of the Zimbabwe dollar while others want full dollari­sation or joining the Rand Monetary Union. "We are very busy working on the 2019 Budget #Zimbabwe and my team is going around the country to listen and consult with citizens and their parliamentary representatives. What ideas and suggestions do you have for my team to address in the 2019 budget," Ncube tweeted late afternoon yesterday. His engagement with the public are a marked shift on the new 2 per­cent tax on mobile money transac­tions which attracted public outcry. The Twitter community immedi­ately responded to the Finance chief calling for the suspension of the 2 percent tax, clarity on the currency issue, suspension of the command agriculture programme and creating a viable environment for locally owned start-ups. Zimbabwe adopted a basket of multiple currencies mainly domi­nated by the greenback in 2009 af­ter demonetising its local unit a year earlier due to record inflation. In 2016, the Reserve Bank introduced bond notes to ease cash short­ages triggered by sagging exports. The fiat currency was introduced at par with the dollar before it deval­ued after the July 30 general elec­tions. This resulted in price increases as many retailers tracked the value of the elusive global reserve currency on the thriving informal market. So contentious is the currency situation that @ThandiweStephan queried the Finance minister on which currency he would use for the budget. "How many versions of the budg­et are you going to release? One in US dollars, another in RTGS and another in Bond notes? We need a budget that truly reflects the status quo of our economic predicament," he tweeted responding to Ncube. In another tweet, Mthuli was advised to abandon the command agriculture programme, an import substitution programme funded by treasury. But with government ex­penditure overrun at $1,2 billion during the first six months, funding such programmes could thrust treasury in an unenviable position. According to Ncube, the huge deficit for the period to June is a result of unbudgeted expenditure re­lating to wage bill driven by pension disbursements, support towards ag­riculture input support schemes and capital expenditure towards roads. The finance chief said the deficit was financed through Treasury bill issuances, forecasting that the treas­ury could have an expenditure over­run of $3,7 billion by year end. "Consequently, the fiscal deficit is expected to worsen the overdraft po­sition at the Central Bank, which by August 31 was $2,3 billion, which is 59,4 percent of the previous year's revenue against 20% of the previ­ous year's revenues, as stipulated in the Reserve Bank Act," Ncube said in his Pre-budget Strategy Paper last month. "The runaway Central Bank lending to Government is projected to reach $2,5 billion which is 64,6 percent of the previous year's rev­enues."